Happy Saturday!! I hope you all are having a wonderful weekend. It turned summer fast here in the south! We had been blessed with unseasonably cool temperatures for awhile, but summer has officially arrived big time! I spent a few hours in the yard this morning, but that was all I could handle. Thank you all so much for stopping by to join us this week. Wow, there were so many awesome posts that I went over my 10 features! I could have kept going, but had to stop somewhere. If you missed the party last week, check out all the great posts and yummy recipes. 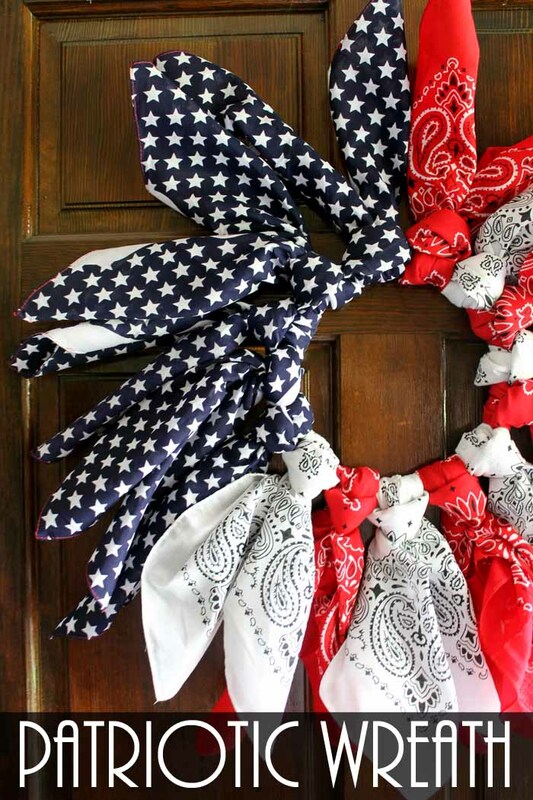 The Country Chic Cottage shared this awesome Patriotic wreath made from bandannas. I love it! If you prefer felt, check out this fabulous DIY Patriotic wreath by My Husband Has Too Many Hobbies. Repurpose and Upcycle shared her gorgeous budget friendly modern Farmhouse kitchen update. Noting Grace shared her beautiful master bedroom reveal. Check out all the great details. Everyday Living shared her fabulous Broadway Mary Poppins tablescape, I love the umbrella! Debbie-Dabble shared her awesome Patriotic tree and decor. Check out the other trees here. Mia Bella Passions shared an easy and great way to create beach decor for your home. The Apple Street Cottage shared her amazing transformation of an unfinished chest. 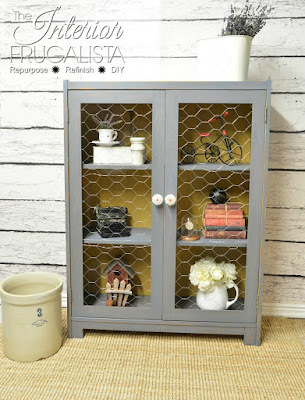 I love the chicken wire Interior Frugalista used in this bookcase makeover. These Broccoli Cheese Nuggets by Noble Recipes sound amazing. The Bearded Hiker shared this ultimate Salsa recipe. YUM! 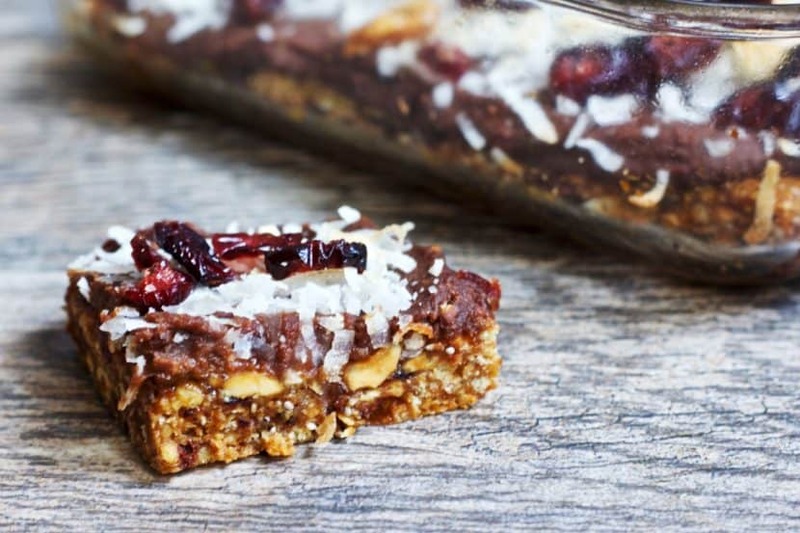 These Layered Peanut Chocolate Cherry Brownie Bars by Healthy Helper look so delicious. Oh my, these Classic Greek Frappes by All That's Jas sound perfect for the summer! The featured blog this week is Welsh Design Studio. Checkout the photo above where you can find a great post for decorating a tiered tray for summer. There's so many great ideas on this blog you don't want to miss. Thanks for the party, Kathy! Enjoy the summer days! Thanks so much for the party and featuring my Mary Poppins Tablescape! Have a wonderful finish to the weekend! It's summer here in the north as well and we love it! Thank you for featuring my Greek frappe recipe! Enjoy the rest of your weekend and stay cool! Thanks Kathy for the honor of being featured this week!! I will be giving you a Shout Out on Google+ , Face Book and in my next post!! Thanks too for hosting!! Summer is in full swing! Thank you for the great features and for hosting. Thank you so much for the feature of my felt patriotic wreath! 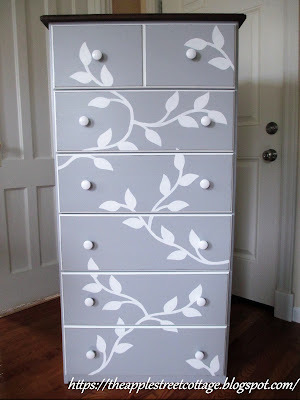 Thank you for featuring my chest of drawers - it's always an honor. Great party - as always! I would recommend this place to anyone who is looking for a great spot or place to go and attend an event while eating and trying lesser known things. Prices at event venues Chicago are very reasonable and the staff is great!